Earlier this year, DJI announced the Spark. Touted as a selfie drone, the team at DJI demoed a quadcopter you could fly with your hand. However, the Spark is capable of a wider and more impressive set of features. At a size not much larger than the average smart phone used to pilot it, the Spark is a take-and-fly anywhere quadcopter. Its automated flight modes, tiny footprint, and low price point make it easy to recommend. The Spark offers an impressive array of features, rivaling those of the far more expensive Mavic. 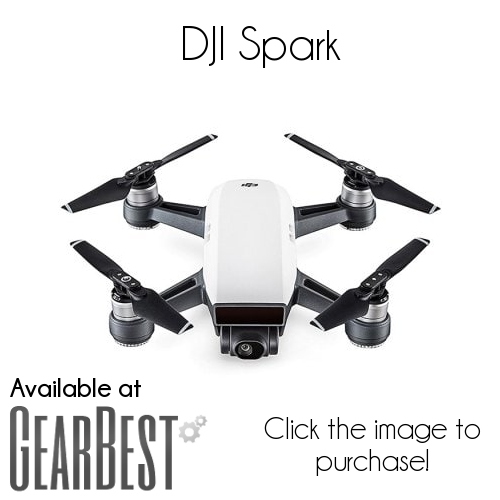 If you are looking for an entry level camera drone at a competitive price, you should definitely consider the Spark. Read on to find out why! 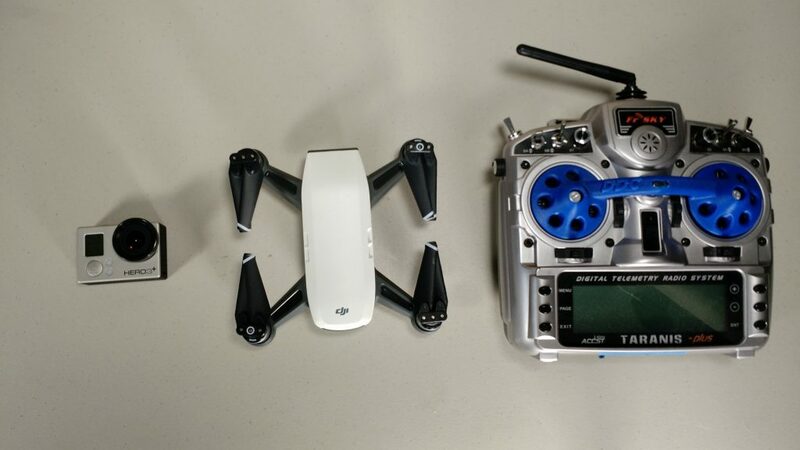 The base model package includes the Spark drone, an extra set of propellers, one battery, and a USB charger. The packaging case can also be used for storage. Download the DJI Go 4 app, charge the battery, and you are good to go. 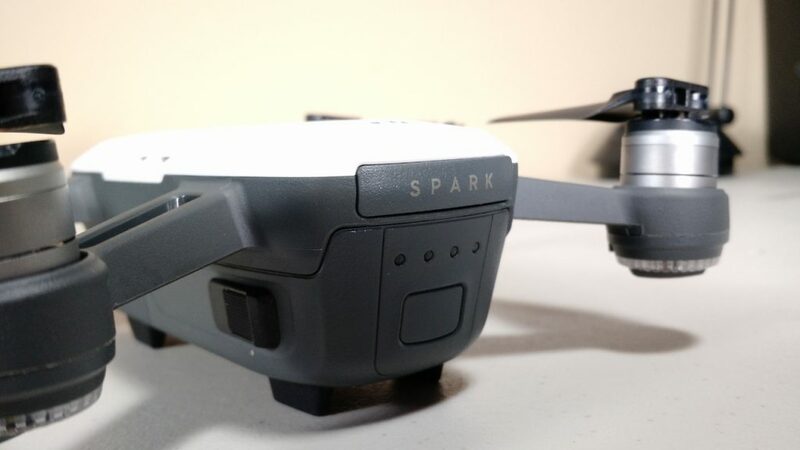 You can charge the Spark using the micro USB connector on the back of the drone (located next to the micro SD card slot). 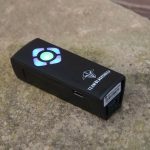 This is very convenient, as you can charge the Spark anywhere that has an outlet with a standard micro USB cable. Charging time using USB takes around 80 minutes to get a full charge. The ports are hidden behind the SPARK text! Flying the Spark using the DJI GO 4 app is easy, but setting it up can be somewhat of a pain. The Spark creates a WiFi hot spot that your phone connects to. Depending on the age of your phone, you may have trouble pairing your device to the Spark. I tried to pair the app to an older Nexus 7 tablet, and was unable to do so. Definitely worth considering if you plan on using the Spark with an older model device. I found it handy to write down the Spark WiFi SSID information for ease of reference. Unfortunately, the sticker with the password is located under the battery. If you ever need to re-enter this information on your phone, you will have to power down the quad, remove the battery, get the password, and then repeat the startup sequence. This happened a few times during our testing when the phone forgot the Spark network information. Once paired, you can press the takeoff button to hover a few feet off the ground. Additionally, you can use the palm takeoff option to launch the drone from the palm of your hand. 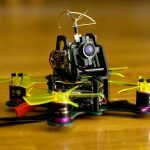 Admittedly, I didn’t use this feature much due to my healthy fear of the props on our miniquads. However, this is an interesting way to launch the quad from a haphazard location where you don’t have a flat, stable surface (e.g. launching from a boat or steep trail). Dimensions: 143x153x55mm, 300g weight, 170mm diagonal distance. Camera: 1/2.3″ CMOS, 12MP, 1920×1080 30p recording on a 2-axis gimbal. Battery: 1480 mAh, advertised flight time of 16 minutes (we saw consistently closer to 10-12 throughout testing). Flying range: The range limits change depending on your controller setup. Using a smart phone has a much more restrictive range than the Spark controller. Wi-Fi app: 2.4 GHz / 5.8GHz with a 100m range distance and 50m height. 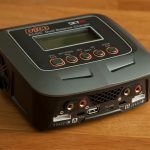 Spark Controller: 1.2mi (2km) with a top speed of 31 mph in Sport mode. How does the DJI Spark fly? Even using only the smart phone app for control, the Spark was responsive and allowed for fine-tuned movements. Pairing together normal flying with the programmable presets can create some spectacularly cinematic moments. In particular, the Active Track and Quickshot modes can be nearly seamlessly mixed in with normal flight with a few screen taps. Switching to gimbal control to set the camera pitch is easy, and allows you to customize your shot or look around a location easily. Perfect for scouting race locations! I was worried that the Spark would struggle in high winds. I drove up to an extremely windy cliff-side area and flew around capturing video. As you can see, the Spark flies great and continues to capture stable footage even in high winds. Finally, I was surprised how fun it was to fly. While it doesn’t have the same thrills as piloting a racing miniquad, the ease of setting up and executing cinematic shots was immersive. It was super easy to keep the Spark in my car or bag and fly whenever I wanted. I could charge it at my work desk using my normal phone charger. It is a breeze to travel with and the perfect drone to keep on hand for capturing anything from an aerial perspective. Without a doubt, Active Track is my favorite feature on the DJI Spark. It seriously feels like magic. Simply highlight an object, and the Spark will follow it. Being that this is Propwashed, we absolutely had to test it with a racing drone! The below footage is completely automated from the Spark using Active Track. As you can see, the Spark was able to keep the quad completely in view until it hit the grassy area. We found that Active Track followed most objects with an insane level of accuracy against a consistent background. Changes in light or varying background colors more often than not caused the Spark to lose track of small objects. However, following larger or high contrast to background objects was a breeze. We never expected the Spark to even identify a racing drone, but it worked great in some use cases. Crazy to think of the uses this mode has as the technology continues to improve. It took some practice, but we eventually tracked our DarkMax! If you ever wanted to feel like a professional vlogger, Quickshot will be your new favorite toy. Quickshot lets you execute pre-programmed drone movements while keeping the subject in frame. Like Active Track, you highlight an object, select the movement type, and go. With four preset options (Dronie for cinematic zoom away, circle to orbit, helix and rocket for vertical zoom outs) you can create professional looking footage with a few button presses. If you want to mix in some compelling aerial footage into nearly any video, this is the perfect tool set to do so. If you want to focus on just controlling the gimbal pitch, you can use Tapfly to set a waypoint for your Spark. Press the screen where you want to go, and the Spark will automatically fly to the selected area. You can swap between setting a position or flying in a specified direction depending on the mode. En route, you can change the direction or adjust the gimbal pitch as needed. Great if you want to do a pass over an area and have easy access to the gimbal while flying. Original advertisements for the Spark hit on gesture control frequently. The marketing definitely pushed the idea of a “selfie drone” with options for taking pictures using hand gestures. While QuickShot features provide interesting pre-programmed shots, I found the gesture control mode more of a gimmick rather than a useful mode for taking photos or video. However, most of my feelings on the matter here are subjective. I don’t particularly care about taking photos with a drone, let alone pictures of myself! While the Spark does take great shots with its 12MP camera, I found myself asking why you would want to take a static shot using gesture control versus dynamic ones using Active Track or QuickShot. Objectively, I could get the gesture controls to work around 70% of the time. Somewhat similar to Active Track, I found that the gesture controls had a better chance of working when there was good contrast between the subject and background. In addition to the custom flight modes, the Spark has a ton of quality of life features built in. Return to home and battery warning are particular standouts. Nervous about landing? Hit the return to home button and the quadcopter will return to a few feet above its takeoff position. When the battery is low, the Spark will automatically start to return to home, and even force a slow landing when near empty. These are incredibly useful in preventing a crash or accidentally going beyond the limits of the battery’s capacity. Check out this automatic return to home landing in wind! Finally, the Spark has a pretty robust obstacle avoidance and warning system. I was impressed when flying around trees and other low objects how the Spark relayed distance warnings. However, be careful when orbiting or flying backwards using the pre-programmed modes. I was able to crash the Spark into a tree when orbiting around a target at distance. Luckily, it bounced off the branches and reoriented itself immediately without any damage. If you get into an issue, or see your quad heading somewhere it shouldn’t, hit the red x on the left side of the screen to stop the automated flight path. I think that this will be the first realistic change if a Spark 2.0 is released. The DJI Spark is already small, but allowing the arms to fold into the body would make it downright tiny. We are talking about cell phone size small at that point. This is a killer feature on the Mavic, and I think it would add even more portability in the Spark’s form factor. The DJI Spark captures video at 1920×1080 at 30 frames. I would love to see the frame rate bumped up to 60 frames in future revisions. The lower frame rate is definitely noticeable when panning quickly or increasing the orbit speed. While it is understandable that a “budget” camera drone isn’t shooting at 4K resolution, I would love to see the frame rate bumped up. The DJI GO 4 app is bulky to say the least. Be prepared to allow basically every permission your phone has in order to run it. Social features such as Skypixel and the Editor may be fun for the social media crowd, but I found them to be lackluster compared to capturing micro SD card footage and editing on my own computer. Moreover, the app is an absolute resource hog. Be sure to kill the app after you are done flying, as letting it run in the background will drain your battery insanely fast. I would love to see a “fly only” app option. A version that just has the connectivity and flight controls, rather than the bulky social add-ons and permission needs. Unfortunately, given the value of social data in today’s age, I doubt we will see this in future revisions. Is the DJI Spark worth your money? If you are looking for a small form factor camera drone, the DJI Spark is a fantastic option. The base model gives you incredible control with just your smartphone. 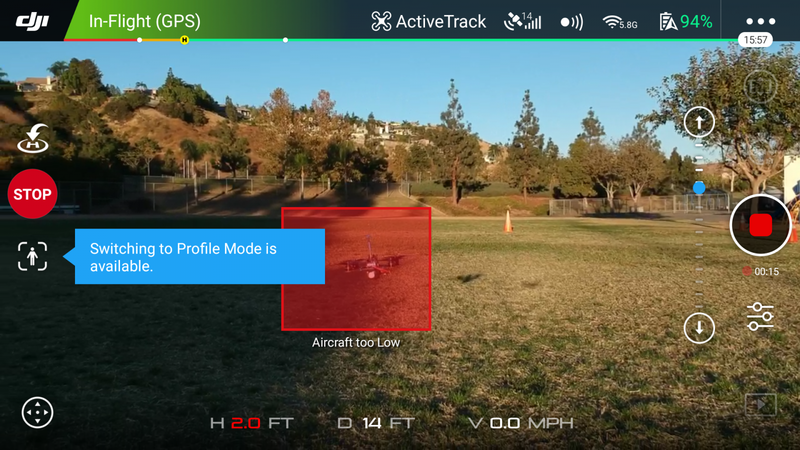 Features such as Active Track and Tapfly will give you endless options for creating compelling flight footage with only a few taps. The drone flies accurately, controls, and captures well even in windy weather. This is a quad you can take anywhere and requires minimal setup to fly. 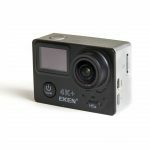 Its small form factor allows it to get into tighter spaces than the Mavic. You almost have to see it to believe the size. Size comparison to GoPro and Taranis. 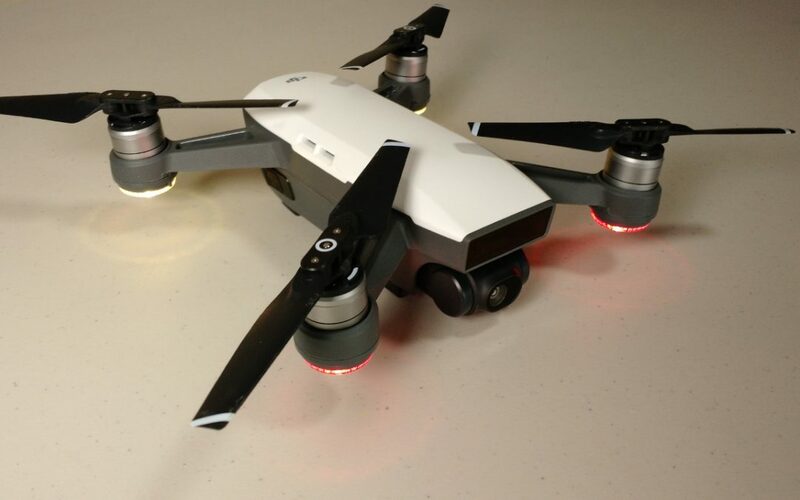 However, to get all the features out of this quadcopter, you are likely going to want to spend more than the $500 base price. The controller will set you back $120 if you want extra range and finer tuned control, while additional batteries cost $50 a pop. At an average 11-minute flight time, a single battery won’t cut it for most people. The fly more combo probably makes the most sense. For somewhere between $650-700 (look for frequent discounts), you can pick up an extra battery, controller, case, charging bank, prop guards, and more. While it doesn’t have the camera quality or flight time of the Mavic, the Spark can be packed for nearly any event, capture great footage, and is half the cost for the base unit. The DJI Spark is the perfect introductory camera drone for those looking to capture footage nearly anywhere. Looking to buy the Spark? Check it out over on GearBest! Camera drone with an insane number of features at $500 for the base unit – half the price of the Mavic. Spectacular performance even in windy weather. Stabilization and camera quality are fantastic. Small, portable form factor means easy transportation to any event. The Spark is the perfect backpack drone and convenient to fly wherever, whenever. Features like Active Track, return to home, Tap Fly, and other automated flight modes are incredibly accurate. Battery life averages around 10-12 minutes rather than the advertised 16 minutes. You will want extra batteries. Flight distances and speed are limited without controller use. Gesture mode is hit or miss. Interesting concept, but worked in our testing around 70% of the time. We preferred sticking to Active Track, Quick Shot, and Tapfly modes. DJI GO app can be cumbersome to use and is a resource hog. We had difficulty connecting to the Spark on older devices. As always, we will continue to update our review to let you know of any changes or issues found with more flight time. Thanks again to the folks over at GearBest for sending us the DJI Spark for review!